There are choices we must make in life in order to accomplish a goal or objective. If we want something enough, we have to do what is required to obtain it. We may need to choose between two or more things and pick one, because we can’t have it all, and certainly not at the same time. SourceThere are short-term desires, and long-term desires. We often choose to go with the short-term immediate gratification, rather than sacrifice for the long-term greater benefit. It can seam like we suffer in the short-term by not getting what we want, like it’s a pain to be without obtaining the thing we desire. We may need to endure some sacrifice, suffering and pain to get better things in life. There is the saying that good things come to those who wait. If we want to obtain greater freedom, independence, prosperity, health, or knowledge, it may require sacrificing things today or in the short-term that we want in order to reap the benefits of those greater things tomorrow. What are we willing to sacrifice? Are we willing to do what must be done to obtain those long-term benefits? Or do we just want to keep doing things that prevent us from actualizing those goals? We don’t have infinite time. Time is limited. If we don’t work on the things we want in the long-term, then we keep putting them off and they likely won’t happen. If we want something to happen, we need to invest time, energy, effort, dedication, determination and persistence to make it happen. Is the pleasure of watching TV not something you’re willing to sacrifice to put your time to something more important and beneficial in your life? Is Facebook that much more important that reaching for the more important goal you want to achieve? TV and Facebook take time away from doing something else, like studying for school, or to look for a job you really want. To actualize more of what we know is better for us, we must be willing to sacrifice what we are now, for what we can become. The instant gratification is strong, and little happen instantly or overnight when we have to work on it to make it happen. But we can choose to take the steps required to achieve out goals. SourceWe can conquer short-term pain to achieve long-term gain. Our lives can be more fulfilled after a struggle, with a great sense of accomplishment for what we have made happen. We often work hard to get by in life, a job takes up a lot of are time. Day after day we work at a job. And day after day we spend our time on relief from the grind. We like to go have fun, to enjoy ourselves, and spend our time doing tings that give us pleasure. We want pleasure, gratification, fun, enjoyment, so we spend time and pay attention on that. 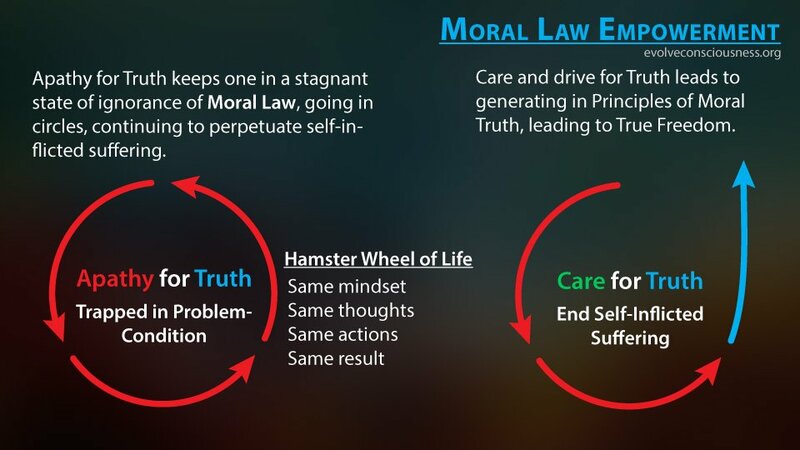 We go in circles doing the same thing in our effort to achieve immediate, in the “now”, short-term pleasure gains. If we don’t get out pleasure fix, then we feel like we suffer, like we are in pain, like we are sacrificing our lives. Pleasure seeking and short-term gratification is ruling us, keeping us from actualizing greater things in our lives. When we choose to put pleasure seeking, fun, partying, enjoyment, happiness, as the pursuit of life, we go nowhere really, we just go in circles. Nothing actually gets done. It’s all to feed our desires for pleasure and gratification. Pleasure is a part of life, not the purpose. Happiness is part of life, not the purpose. 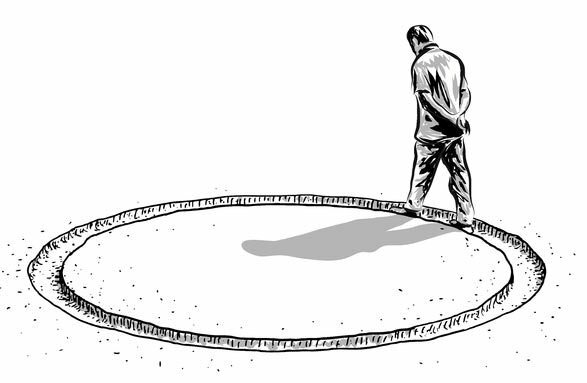 Is going around in circles a worthy goal? Is letting others choose where we’re headed a worthy goal? We can get out of the cyclical trap we have ourselves in from focusing only on the pleasure, happiness or enjoyment we can derive for ourselves of those around us. SourceBy putting our time, attention, focus and energy into immediately gratifying activities, we are not table to put our time, attention, focus and energy into actualizing long-term goals that can provide us with greater opportunities, quality living or change for the better. If we want more meaning, value and change for the we have to trade short-term pleasure to instead get what we perceive as a lack of it as short-term pain and sacrifice in order to get long-term gains. 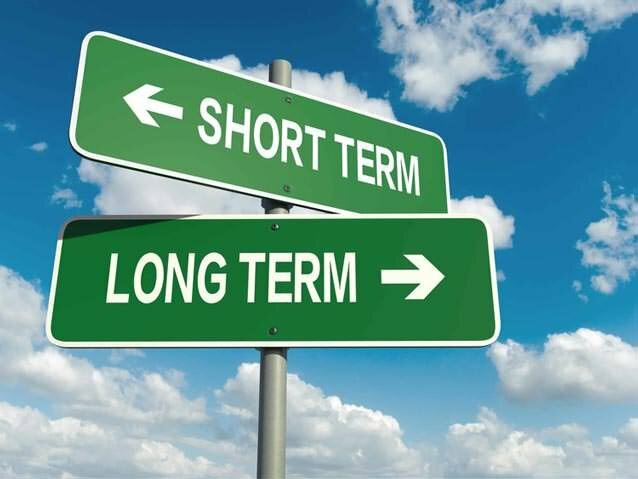 Short-term pain must be tolerated when we’re working towards long-term objectives that will give us what we want more. We have to decide what matters more, truly. Time is limited. Weighing the pain or pleasure we get out of doing something in the present “now” can keep us trapped, going in circles, not actualizing or realizing greater change for ourselves, or for ourselves and others on this planet. Made by @krnelThink of all the issues you might be aware of in the world. We’re all being affected by things going on that we aren’t doing ourselves, that we don’t have individual personal control over. Others are doing things, yet we are affected. To get things to change on a large scale, more people need to be on the same page of awareness about it in the first place before acting to change can even happen. If we want to make the world a better place, we can do it. We just can’t do it all alone, because we aren’t a “god” that can control reality and others. That doesn’t mean we don’t have any degree of control whatsoever to influence or bring about change for the better in our own or other’s lives. We have to influence and cooperate with others to make a shift in the way the world works. this takes hard work, time, energy, attention and focus. We need to choose if we want to do this hard greater work to make things better for ourselves and the world. Or if we want to just focus on our own personal lives alone. To just let things be completely out of our control without us influencing and attempting to change things for the better. Do we not really want things to get better? Do we just want to let others in power continue to decide where we and others are headed into the future on this planet? Or do we want to take back the power and try to do something about it? We need to sacrifice the immediate, short-term pleasure and gain in our personal lives if we want to work towards making things better for ourselves and everyone else. This means our individual wants, whims and desires have to often go second to the higher purpose, meaning and value to achieve something greater for us and others at a universal level. SourceIf we want to make things change, we need to gain an awareness of the problem, as so too do others. We need the knowledge of the problem (who, what, where, when), and we need to understand the problem at a root causal level, why it has come into existence. 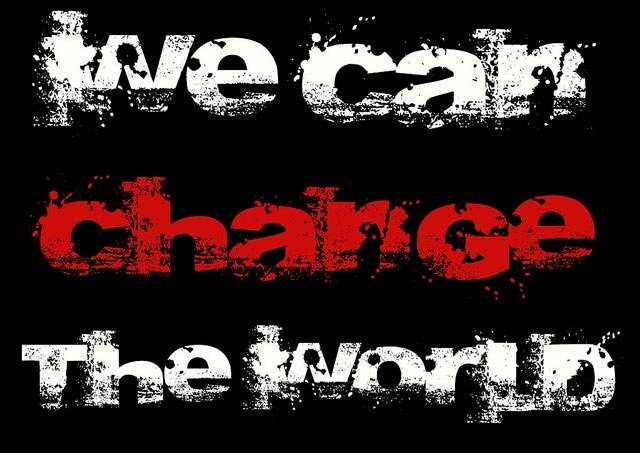 Then we can act to change how we live and how the world works. It takes greater awareness, higher awareness, together. To do this, we need to become more devoted to the pursuit and delivery of truth. This is how we can change, and how we can influence others and the world to change by the same process we undergo. If everyone scarified time, attention and energy to and for truth more (to seek and serve truth), and didn’t sacrifice truth (sacrifice seeking or serving truth) for more time, attention and energy spent on personal whims of pleasure gratification or enjoyment, then in one generation the whole world would be different. This is the potential for change we can be involved in actualizing. We have to choose what matters more, what is really primary: our personal pleasure and gratification in our little bubbles of easy, pleasurable, comfortable living, as we go in circles with nothing really changing for the better? 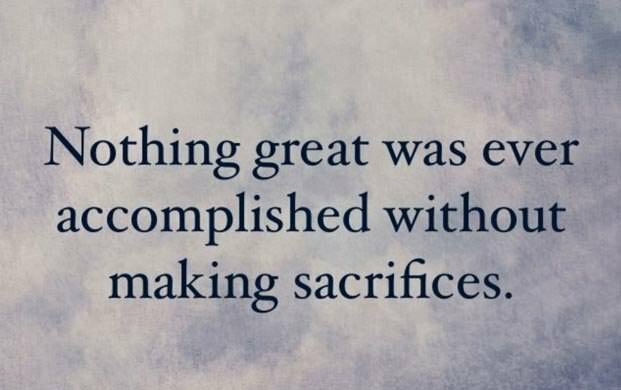 Or to sacrifice a little in order to achieve something greater for ourselves and others in the long-term?